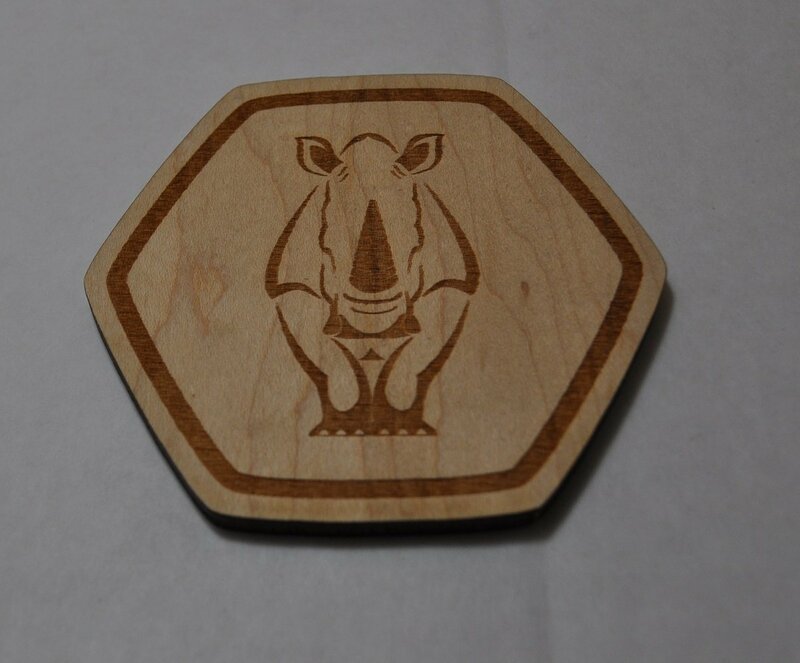 Get cool wooden coasters and support the fight against evil wild life poachers! It’s a no-brainer. 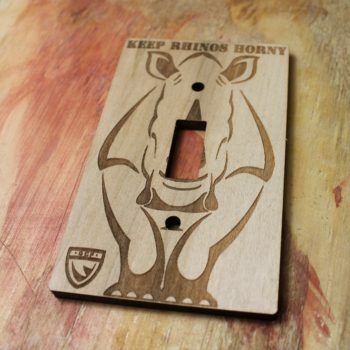 25% of all sales go directly to the Global Conservation Force and fight to keep the endangered animals in the world from going extinct. You probably knew that rhinos are endangered animals. 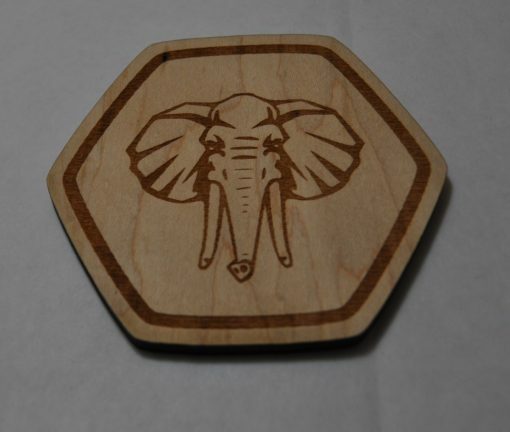 Maybe you knew elephants are also in trouble, and that the ivory trade is the cause of over 33,000 yearly illegal deaths of these endangered animals. 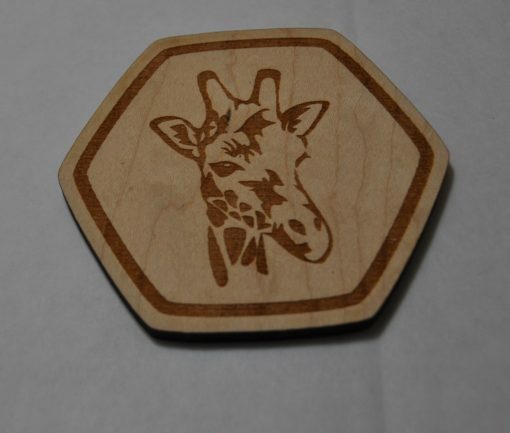 Did you know giraffe populations are down by over 40% in just the last 15 years? 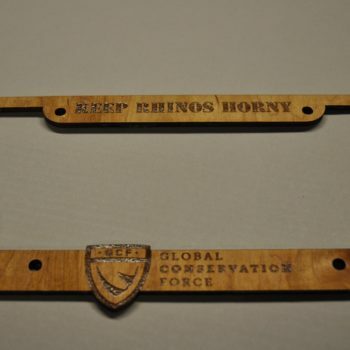 Just behind illegal drug trafficking, organized wildlife crime is the 4th largest market in the world! It’s scary to think about, but there are people and organizations doing something about it. 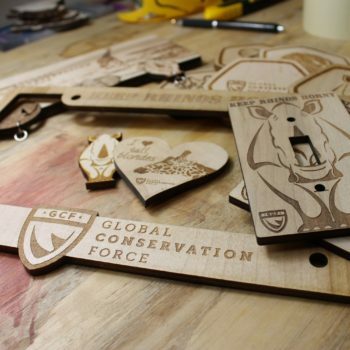 One organization is the Global Conservation Force, which is dedicated to saving wildlife from extinction through education, anti-poaching and conservation efforts. Havoly has partnered with the GCF, donating 25% of all sales directly to the organization. 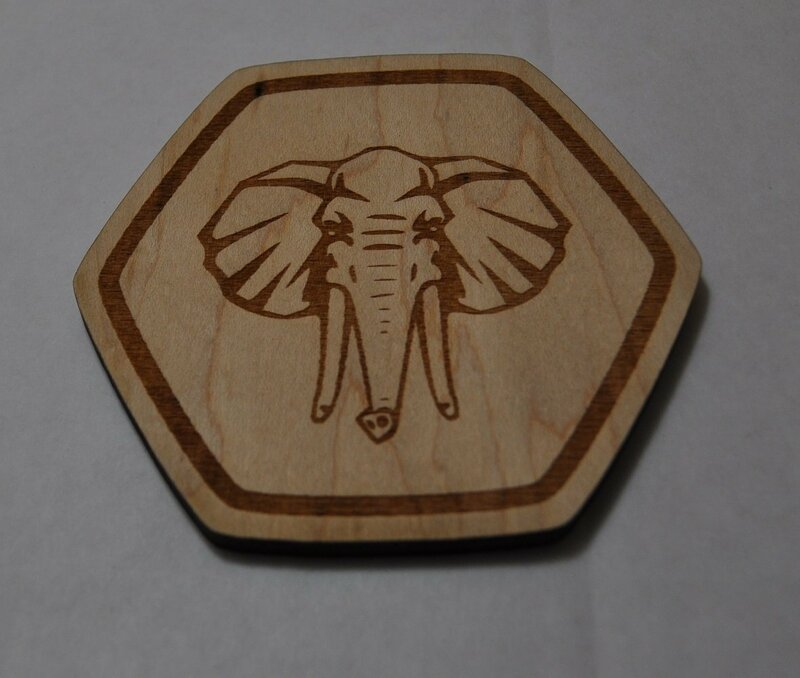 When you buy this coaster set, you’re not only getting cool wooden coasters, but you’re also helping in the fight against wildlife poachers. So don’t think twice about buying this cool merchandise and supporting a great organization. It’s a WIN/WIN! 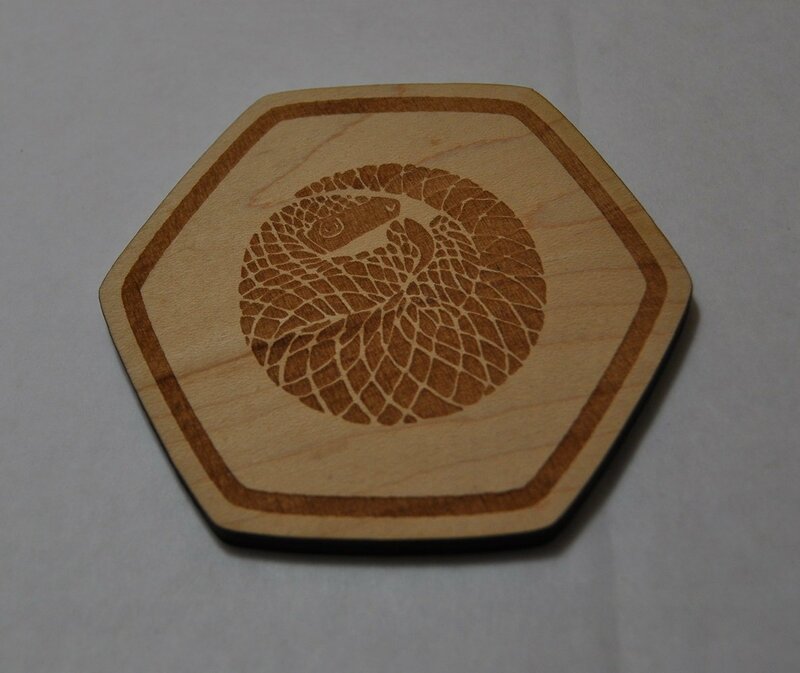 This order is for a set of 5 coasters, which are pictured in the main image. One of each endangered animal: rhino, elephant, giraffe, and pangolin. 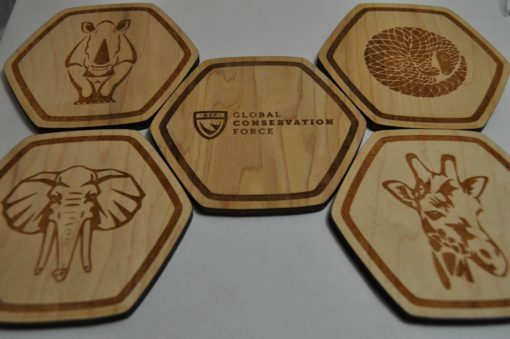 As well as the global conservation force logo coaster, reminding you and others of your support for these at risk animals.